The SUNCOO 40W CO2 Laser Engraving Machine is one of the most well-rounded beginner’s laser engraving machine available. Shining with its better-than-average-quality finish, a decent speed, and a wide range of materials to work with, it’s obvious this machine was designed to appeal to newbies. Nevertheless, the overall sturdiness and internal cooling system make this a piece of equipment that you can grow alongside. The added accessories reinforce this image and ensure that you are well-supplied in your first steps on the road of engraving. While durable, there are some displeasing remarks to be made about this engraving machine. It can work with a wide array of materials, but it does not excel at all of them. Some organic materials end up with a less-than-high-quality finish, while others barely have their surface scratched. Because of this, it might not be a good fit for those with very specific needs. Is this hindrance enough to completely disregard what is otherwise an impressive laser engraving machine? We’ve looked into it and collected all the data you need to make the best possible decision. Be sure to read on and discover all there is to know about the SUNCOO 40W CO2 Laser Engraving Machine. Product Dimensions: 31.4 inches x 19.5 inches x 9.8 inches. Maximum Item Size: 10.25W x 8.75L x 2.85H inches. Stand-Out Feature: Good range of usable materials, saves templates, and has a cooling system. A laser engraving machine needs to have a connection to at least one drawing program before you should even consider it. The SUNCOO Laser Engraving Machine is compatible with Coreldraw, a combination of NewlySeal and NewlyDraw, making it suitable for both carving and cutting projects. While it is touted as already having Coreldraw installed, newer versions do require that you download it online via a supplied link. Before panicking, be sure to check which version you own, so you can pinpoint any possible issues ahead of time. The USB-port allows your SUNCOO 40W CO2 Laser Engraving Machine to connect with any Windows computer, giving you direct access to your personal designs. Really love a certain pattern? Save it as a template for quick access, so you can print it whenever you like. With the USB port, you can simply connect to a nearby laptop, sign in to your account, and retrieve it online; no need to worry about a limited memory space with this engraving machine! With a very hands-on craft such as this, it’s expected the machine can take a hit if necessary. Luckily, the SUNCOO lives up to this requirement. Depending on where you’ll be using this, people can easily bump into it, especially in a busy workshop. The extra thick encasing ensures that the SUNCOO 40W CO2 Laser Engraving Machine can handle anyone who happens to be a bit too rough. Meanwhile, the internal water cooling systems reduce the wear and tear on the internal electrical components, making this laser engraving machine not just a hobby device, but an investment. If you intend to buy this engraving machine as a way of introducing yourself to the craft, you probably don’t have a favorite material picked out yet. Thankfully, the SUNCOO 40W CO2 can work with a large variety, giving you the chance to find out which ones really suit your tastes, and which just don’t make the cut. With this machine, you’ll be able to work with wood, paper, leather, cloth, Plexiglas, epoxy resin, density board, double colored board, marble, plastic, rubber, crystal, bamboo, and other nonmetal materials. Talk about options! Before you can get crafty, you need to make sure you have everything you need. Since the SUNCOO 40W CO2 Laser Engraving Machine wants to appeal to both beginner and intermediary users, you’ll find the very basics as well as a delightful range of advanced accessories in the package. 1 x CO2 laser engraver. Having a decent resolution is one of the biggest factors in getting a pleasing end result. With a resolution ratio of 1000 dpi, this laser engraving machine isn’t exactly at the height of quality, but it does a good job imprinting most of the details. This machine prides itself on its precision, with its high precision stepping motor ensuring what you plan is what you’ll get. That makes this the best engraving machine for the hobbyist who’s thinking of going pro. Thanks to the resolution (which is good but not of extremely high quality), you can also enjoy a more-than-fair engraving speed. This is, once again, showcasing how suitable the SUNCOO 40W CO2 is when it comes to giving both beginners and more advanced users a chance to unfurl their skills. A machine that performs quickly makes it great for small businesses who need to push out more simplistic projects faster, instead of slow, intricate designs. Those who are looking to fulfill some orders with an engraver should give the SUNCOO a consideration. 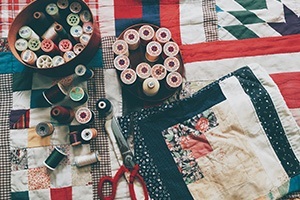 Whether you’re crafting in a busy environment or not, having a machine that can handle some wear and tear is definitely something to consider. No one wants a machine that falls apart with little effort. The SUNCOO is built strong, with a reinforced body that stands up to pressure. While it weighs a heavy fifty-seven pounds, if this machine does need to be moved, its durable build will reduce the risk of damage. A fan is also included in this machine to help distribute the heat the engraver creates. This makes it harder for your machine to overheat, which increases the overall longevity of your machine. Have you started on a piece, but noticed that things seem a bit off? The SUNCOO 40W CO2 can be paused or turned off easily during a project, giving you time to reconsider what’s happening. If you don’t like where it’s going, you can still salvage most of your materials instead of being forced to power through. This machine can give you endless projects if you let it. Though much more advanced crafters may be underwhelmed by what this machine can tackle, new hobbyists or businesses will have an array of materials to play with. You won’t feel the need to immediately upgrade since the SUNCOO Laser Engraving Machine tackles all the basics and then some. It makes a great platform for hobbyists to really hone their craft, and you can hold off on upgrading your machine until much later when you’re ready to tackle specialty materials. While it does great work on Plexiglas, you’ll find that normal glass does not provide as high of a quality finish. While you’ll still be able to engrave it, the etching will be shallow and lacking detail in some places. Be prepared for this if you really have your heart set on engraving glass. While wood and leather are certainly in the range of this machine’s capacity, you will find that non-organic materials yield better results. While this won’t stop you from getting in some practice with organic materials, you won’t be getting the best results by working with these either. For now, the SUNCOO 40W CO2 is only compatible with Windows, leaving Mac users out of the running for this machine. While the USB port makes it easy to transfer projects, this lack of compatibility in other major platforms makes it difficult for this machine to be added to an office or workroom where multiple users utilize different computers. SUNCOO has announced they are working on introducing their Mac compatibility, but some users won’t feel like waiting around for this to happen. The SUNCOO engraver does come with a manual to help you get everything set up, but it might not be the easiest thing to follow. Many users have noted that they wished the instructions were more organized and better translated. Fortunately, SUNCOO has provided extra instructional videos on how to set up this machine, and customers have also had some success with finding other helpful videos online to help guide them along. But those who are fresh to the craft may find getting through the setup process frustrating without sensible instructions, so it might be beneficial to have someone knowledgeable on these machines nearby. The SUNCOO 40W CO2 Laser Engraving Machine is a great laser engraving machine that is well-suited for either complete beginners or for more advanced users who are looking for a well-rounded machine. While you won’t be getting the highest definition results, they are good enough to make it worth looking into this machine. Since it’s geared toward those who haven’t quite figured out where their passion lies yet, you’ll find this machine can work with a wide range of materials. All in all, this laser engraving machine is a great fit for anyone who wants a one-time investment that will cover a range of engraving needs. The only people who would be disappointed are professionals working with glass, or people who want only the best quality results and are willing to put up with slower machines to get them. SUNCOO is still a rising brand that many may not have heard of, but they have a number of products in their lineup including automotive, science, and home improvement items. While they may not have a huge brand presence, their products have received rave reviews from customers, showing that this is a brand you may want to watch for in the future. Due to their lack of presence though, the SUNCOO Laser Engraving Machine will prove hard to find both in-store and online. It’s usually best to check tech and specialty stores, but you’ll have better luck finding this engraving machine on Amazon. That’s it for our SUNCOO laser engraving machine review. Are you tempted to give it a try? The SUNCOO Laser Engraving Machine is a great entry-level machine for those looking to get started in the hobby or start their small business. It's quick, with great quality control, and ready to tackle a wide variety of materials, though those looking to work with more organic items might have more to consider with this one.